This egg is rather hard to draw so here is a version you can print out. Cut out the pieces and try making the birds shown below and also found here. There are lots more birds to make, so invent your own! 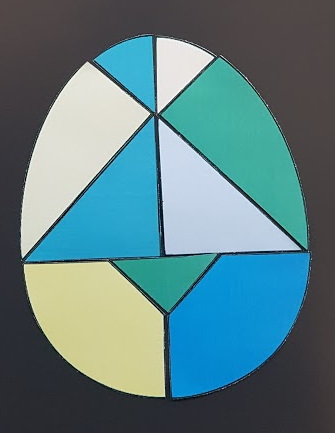 When you have finished, can you put the egg back together again without looking at this image? Printable NRICH Roadshow resources: Instructions and Tangrams 1 and 2. PrimaryGames-Strategy. Investigations. Tangram. Interactivities. Games. PrimaryGames-Number. Practical Activity. Visualising. Compound transformations. Working systematically.